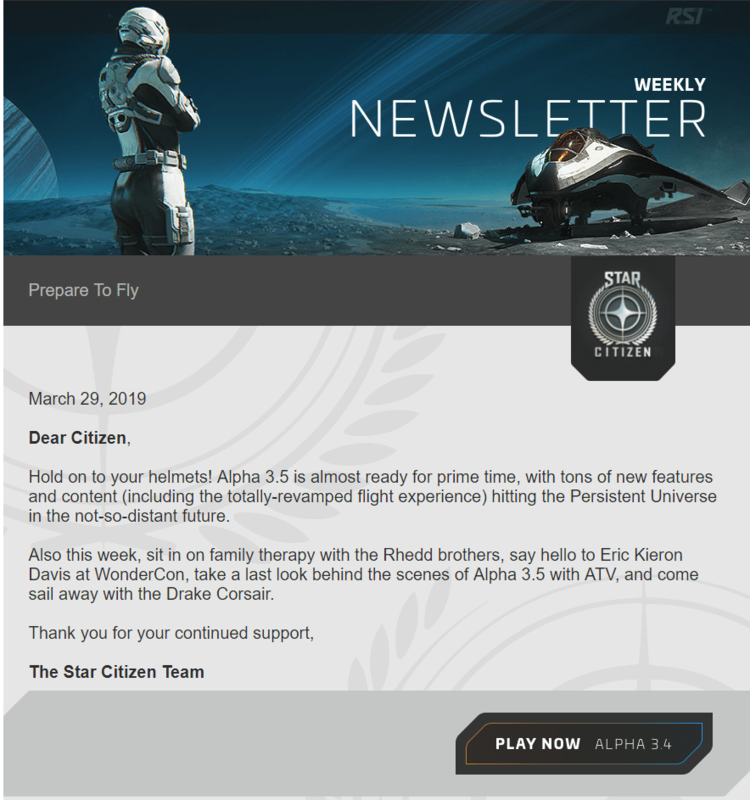 Welcome to some more Star Citizen News for the week ending the 31st March. 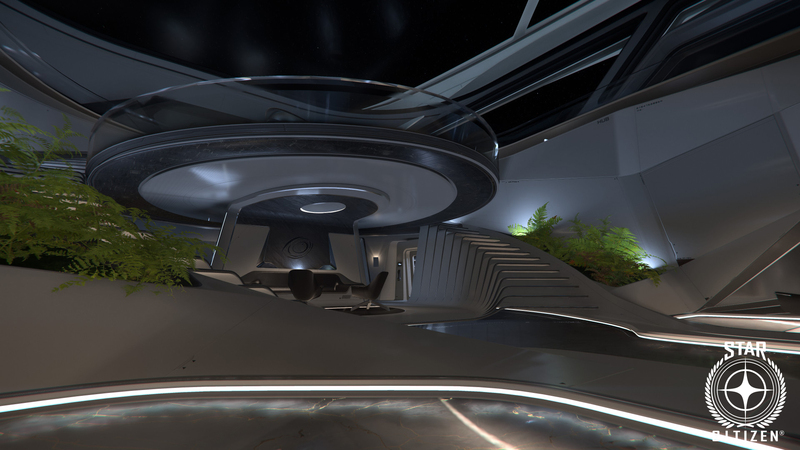 Covering the latest of 3.5, Around The Verse, Reverse The Verse, Crytek lawsuit updates, sneak peeks and other bit from this week on the project. Which now includes our most active players for the 3.5.0k patch and introduces the new flight model along with ArcCorp, playable female characters, character customization, and the redesigned 300i. 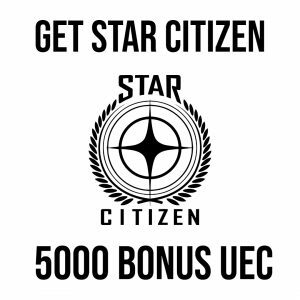 Check your emails or on the settings section of your account on the RSI website to see if you have access, if you can copy your account across then you have access AND YOU SHOULD HAVE ACCESS SINCE IT’S NOW AVAILABLE FOR ALL BACKERS ON THE PTU. The Alpha 3.5.0k patch is in a very good place, it added auto-gimbals, security reinforcements & had a lot better performance than previous patches. There are still a few bugs BUT if they can solve these then this is a solid candidate for a LIVE build of 3.5. There has been no Roadmap updates since the 22nd of March and the next major update should be on the 5th of April. 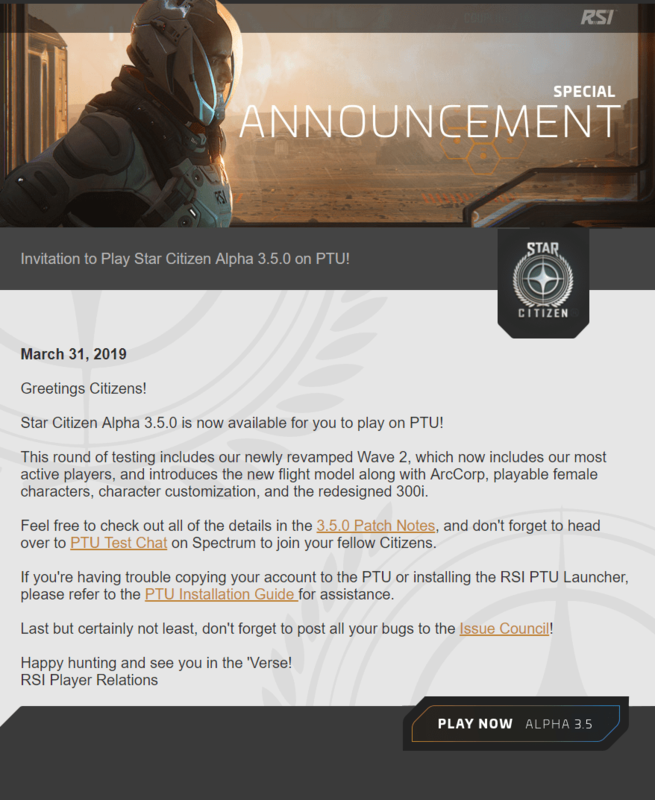 Talked mostly about updates to 3.5 that are in the PTU. They also announced that AtV was going to take a 3 week break this was due to scheduling being done after a major release and some potential improvements to the show in the future. Chris Roberts was interviewed on RtV again talking alot about 3.5 features BUT also a few plans for the future. Organization features are being worked on for sharing, more mutlicrew gameplay is coming as is a permissions system. We should see some additions to the roadmap soon. There is going to be more lawful, legitimate missions. They are working on SSOCS & Full Persistence we should see at least some of this in this year. Vulkan integration is coming, this will allow for a lot more performance & they still have plans for VR which also requires Vulkan to be there. They are still planning out how no fly zones and flight restrictions will work on planets, they don’t want hard deaths for players, more softer ways to prevent players from ramming population centres or flying too far off course on the dense city planets. We will have unique physicalized persistent habs at some point that players will be able to buy/rent. There were some minor updates to the Crytek case from CIs Side, it looks like they have requested that Crytek put up a bond for $2.2 Million to cover CIs fees assuming they are the prevailing party. Also there was a statement from the Faceware Product Developer saying they didn’t have access to any CryEngine Code & that CI did the integration (basically they didn’t see any secret code). 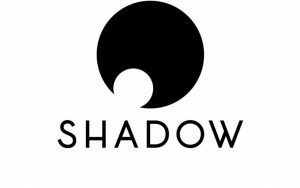 There is lots of general posturing and reiteration of the case but also CI have gone a bit more on the offensive claiming that Crytek started omitting Star Citizen from it’s annual Developer Showcase and that this is hypocritical of them. I would assume this is all done in an attempt to push Crytek to settle for a small amount BUT it could also be a sign that CI are going to fight the case fully and try to reclaim ALL their costs. Faceware have announced something new coming on the 2nd of April and there is a countdown on their site. They also recently reiterated that they are still working on Star Citizen with their camera & acknowledge it’s been delayed longer than they’d like. They recently had a meeting with the CI guys at GDC. 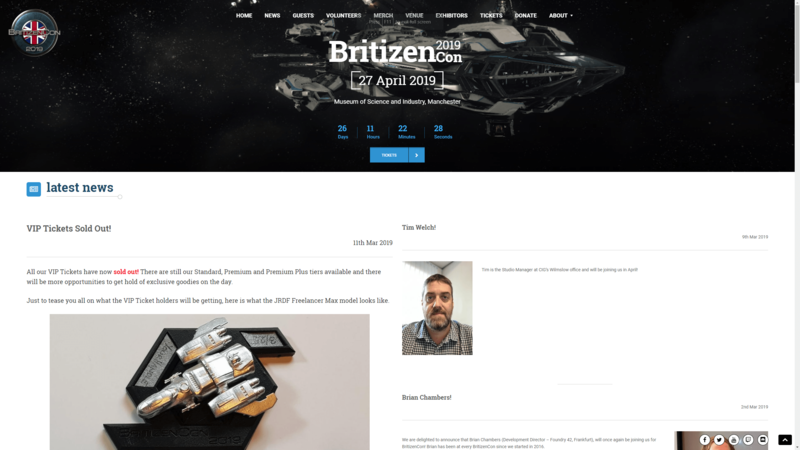 BritizenCon is a Star Citizen Fanfest on the 27th of April in Manchester at the Museum of Science and Industry, tickets are available from britizencon.uk from £30, though you can grab one on the door too. 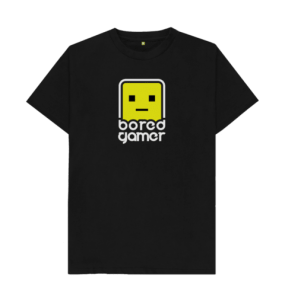 There will be a load of CI Devs, Brian Chambers and Tim Welch will be going, I think they are trying to get Erin Roberts too. JRFabrication who make model ships and props will be there, they recently showed off a little Vanduul Hunter Model they had made. I am going to be there along with a load of other streamers and youtubers too, it is one of the highlights of my year, so come down if you can, there will be barcitizens in the evenings too.